When my publisher approached me about Bright Before Sunrise’s blog tour, I knew I wanted to do something a little different. Rather than have me answer questions, I asked if we could have others answer one. We asked author friends and an amazing group of bloggers to respond to Bright Before Sunrise’s tagline: One night can change how you see the world. One night can change how you see yourself by sharing One Night from their own life. The posts so far have been heartfelt, amusing, intriguing, thought-provoking. They’re so different, but they’re all wonderful! They can be read here. 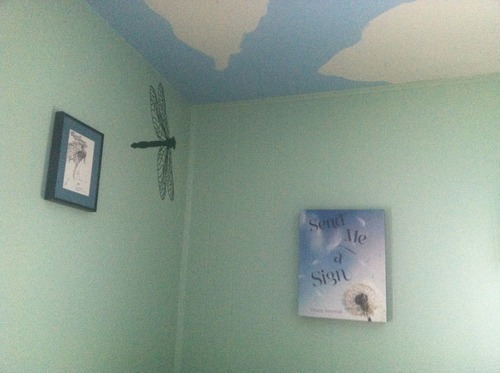 My twins were eight months old when my first novel, Send Me a Sign, sold. It was two days after I’d sent my resignation letter to the superintendent, formally announcing I was leaving my beloved job as a teacher to stay home with The Schmidtlets. This is not the One Night I’m going to talk about. It’s not that I wasn’t thrilled or excited, but at that point it all seemed so distant and surreal. I’d have a BOOK…someday, 18 months from then. And it would have A Cover. And Pages! And I had An Editor! These were all shiny fancy ideas, but they were too much like the first years after my wedding when people would say “Mrs. Schmidt” and I’d look around for my mother-in-law. I may have *technically* entered the ranks of authordom, but I really didn’t believe it. It felt like dressing up for Halloween or playing let’s-pretend. I’d spent too long writing, revising, querying, writing, revising, querying, rinse/repeat to actually believe it was real. Edits happened. Massive quantities of Revision Skittles were consumed. I met my editor, saw my cover, had a page on GoodReads… and I still felt like an impostor. ARCs arrived. I snuggled those things to death, thinking that maybe if I held them tight enough, long enough, that belief would seep through my fingers and I’d start accepting this was REAL, that my dream was coming true. It was one of my Schmidtlets that convinced me. Pip Squeak, toddling around at 18 months old, got ahold of an ARC while we wrestled his brother into pajamas. My husband and I both flew across the room to save it from drool, or the puggles’ water bowl, or whatever other mishap he was more than capable of inventing. But he was hugging it. And he smiled and said, “Momma’s book.” (over and over and over and over as 18-month-olds like to do). And I started to cry. Because this teeny little guy in his footie pajamas had recognized what I couldn’t: that was MY book. More than that, his and his brother’s conception of me as a person would ALWAYS be: My momma writes books. He’d have no knowledge or memories of the years when I was 97% doubts, the times I wanted to chuck my laptop in the trash and walk away forever. In his eyes I’d ALWAYS be an author. And once I realize he understood that… how could I not? In fact, I had a printed canvas made of my first book cover. The plan had been to hang it above my desk. Nope. The Pip Squeak had other plans. It hangs above his crib, reminding me every night at bedtime that he believes in me. How can I not believe in myself. And I’ve got a heck of an adorbs fan club. When Jonah is forced to move from Hamilton to Cross Pointe for the second half of his senior year, “miserable” doesn’t even begin to cover it. He feels like the doggy-bag from his mother’s first marriage and everything else about her new life—with a new husband, new home and a new baby—is an upgrade. The people at Cross Pointe High School are pretentious and privileged—and worst of all is Brighton Waterford, the embodiment of all things superficial and popular. Jonah’s girlfriend, Carly, is his last tie to what feels real… until she breaks up with him. For Brighton, every day is a gauntlet of demands and expectations. Since her father died, she’s relied on one coping method: smile big and pretend to be fine. It may have kept her family together, but she has no clue how to handle how she’s really feeling. Today is the anniversary of his death and cracks are beginning to show. The last thing she needs is the new kid telling her how much he dislikes her for no reason she can understand. She’s determined to change his mind, and when they’re stuck together for the night, she finally gets her chance. Jonah hates her at 3p.m., but how will he feel at 3 a.m.? One night can change how you see the world. One night can change how you see yourself. 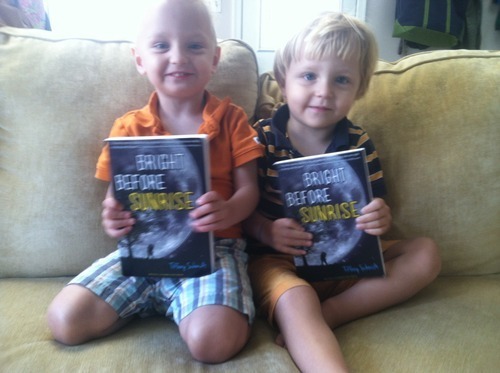 Bright Before Sunrise releases on 2/18 (THREE DAYS!). This is such a cute story! I have an feeling that if I ever get published, my story will be like yours in many ways. Except, I don’t have kids yet, so who knows what my trigger will be. Early congrats on your release tomorrow!! I just stalked your blog to see what you have been up to and I am so glad I did! I LOVED this post. You are funny, you are talented, and you are right: you have an adorbs fan-club! Can we celebrate the upcoming release of the Hold Me Like a Breath? I CANNOT wait to read it!